Though I’d normally choose a nutty, chocolaty dessert over anything fruity, Fruit Flan has been my birthday cake of choice since I was little. 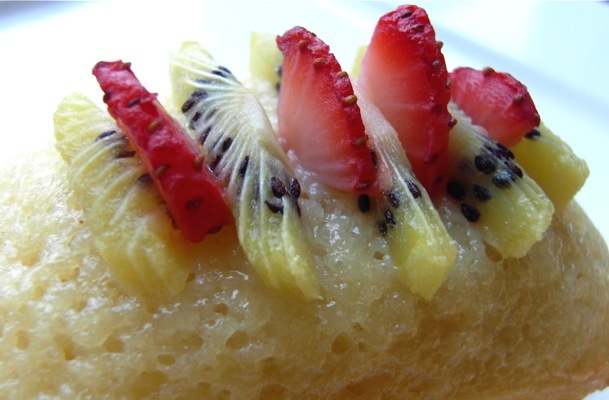 It’s the fruit topping designs that my mom comes up with that I love so much. I could just stare at them. This is my favorite kind of art. 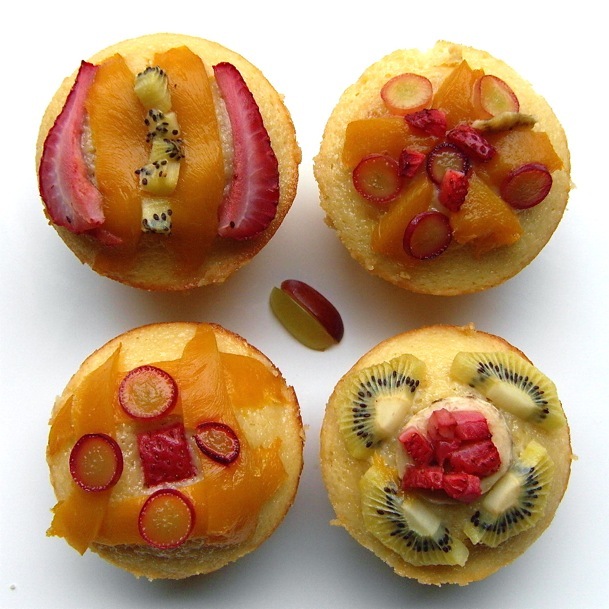 It’s fun baking Fruit Flan as individual cakes to serve to your guests, instead of one large dessert. 1. Heat milk and butter together in microwave or on stovetop. 2. In mixmaster (by hand is fine if you want an arm workout), combine eggs, sugar, and extracts. 3. In a separate bowl, combine all other dry ingredients. 4. Add milk and butter to mixmaster, then slowly add dry mixture. Beat for about 2 min. or until very smooth. 5. 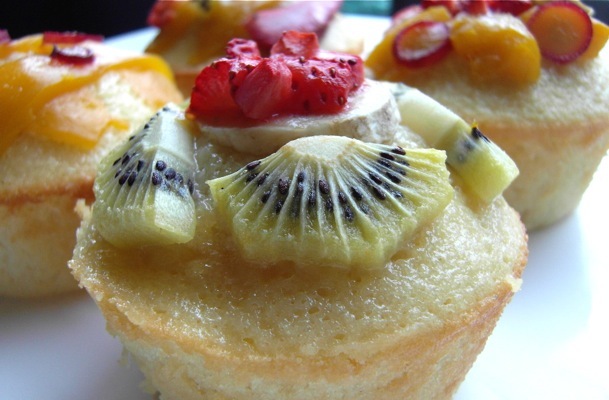 Pour batter into greased muffin tins, then bake at 350F for about 15 min. 6. 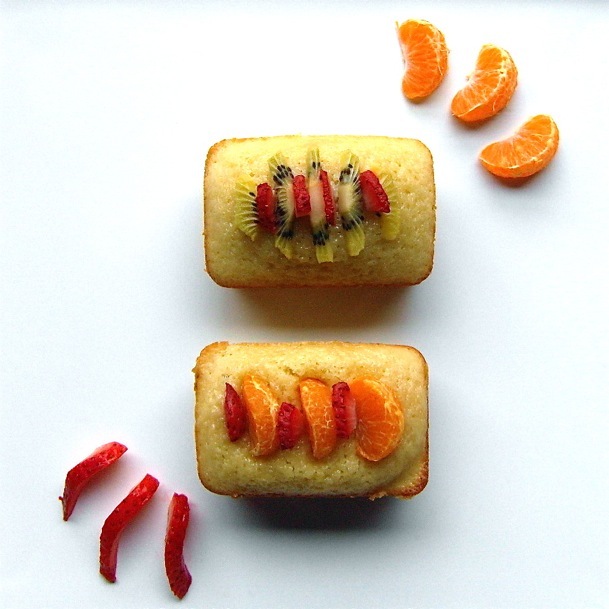 Remove cakes from oven and top with fruit. Bake for another 10 min. or until golden. 7. 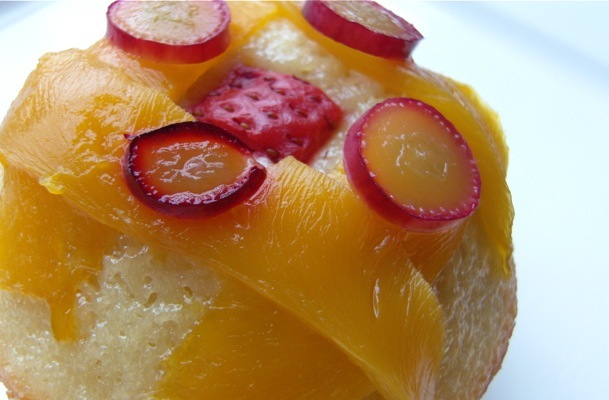 If you’re making a full flan, you’d want to decorate your golden cake with fruit, top with glaze, then let rest for at least one hour in the fridge. 8. Enjoy! To die for? Let me know what you think! If you like this recipe, you might also like my Banana Almond Croissant Bread Pudding recipe — it’s guaranteed to die for. If you’d like to follow me, I’m on Twitter here.